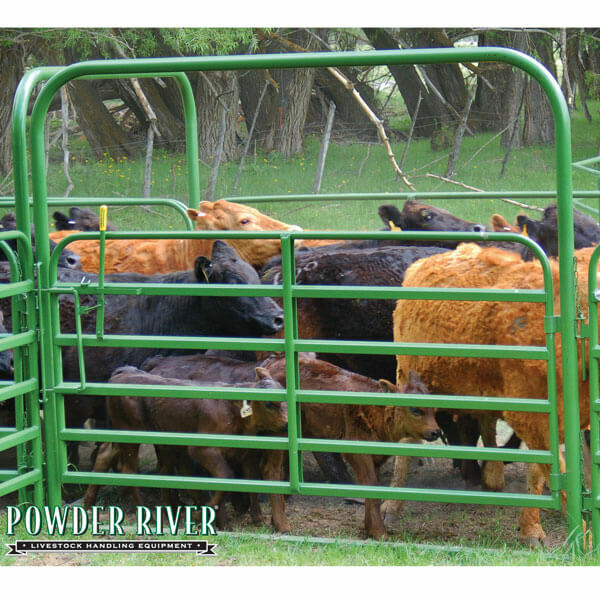 Powder Creek gates are excellent for pasture or driveway gates. They feature a durable powder coating in hunter green. The powder coating is formulated to be durable in agricultural applications. They are made from 1.66″ 18 gauge (frame) and 20 gauge (rails) steel tubing and supported by a 16 gauge shaped vertical stay. The included hinge brackets come with 6 inch lag screws for easy mounting in wood posts. The included 33″ chain with a keeper makes this a complete gate package. Available in lengths from 4 feet to 16 feet in 2 foot increments (listed below). 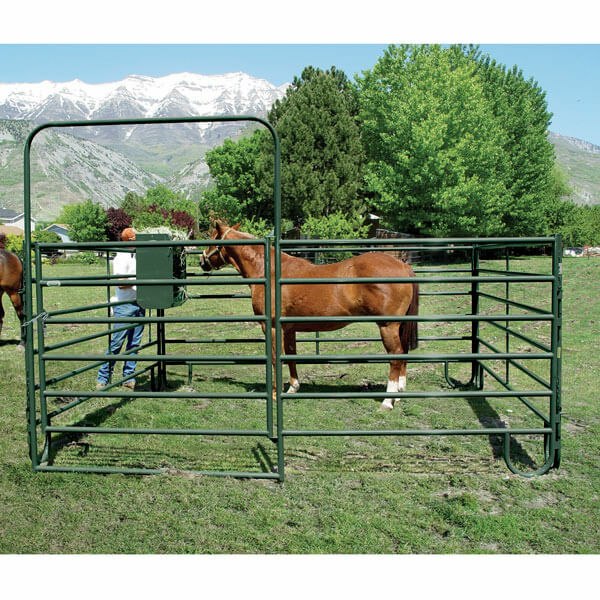 Powder Creek gates are excellent for pasture or driveway gates. They feature a durable powder coating in hunter green. The powder coating is formulated to be durable in agricultural applications. The included hinge brackets come with 6 inch lag screws for easy mounting in wood posts. Comes complete with 6″ lag bolt hinges and 33″ chain with keeper plate. 034-50004 4’ PC Gate 0 24 lbs. 034-50008 8’ PC Gate 1 41 lbs. 034-50010 10’ PC Gate 1 49 lbs. 034-50012 12’ PC Gate 2 57 lbs. 034-50014 14’ PC Gate 2 68 lbs. 034-50016 16’ PC Gate 3 75 lbs.